Treat your cat to the very best care! Angelite Cats Hotel is a long-established, family-run, licensed boarding cattery situated in a peaceful location in the village of Hardwick, near the Limes Road Estate, and is easily accessible from the A428 and M11. The spacious insulated chalets provide first class accommodation with thermostatically controlled heating to ensure ultimate comfort for your cat during its stay. 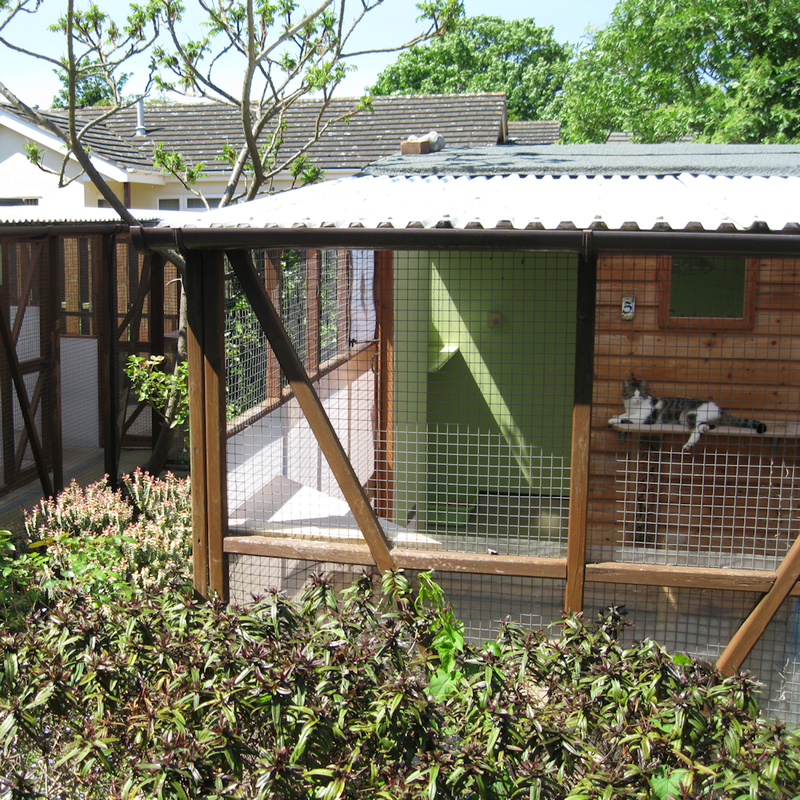 Each cat has access to a large individual outdoor run which is fully-roofed and overlooks the garden. There are 10 large chalets suitable for 1 to 3 cats, 4 very large chalets suitable for 3 to 5 cats and 2 small chalets suitable for 1 cat. Your cat(s) will be catered for individually and fed according to requirements. Fresh drinking water is available at all times. Special diets are respected. A current certificate of vaccination against Cat Flu and Feline Enteritismust be shown before any cat will be admitted. The proprietor reserves the right to refuse admission to any cat showing signs of ill health, pending advice from a veterinary surgeon. If your cat develops signs of illness during its stay it will be immediately seen by our veterinary surgeon and if necessary transferred to one of the isolation units. 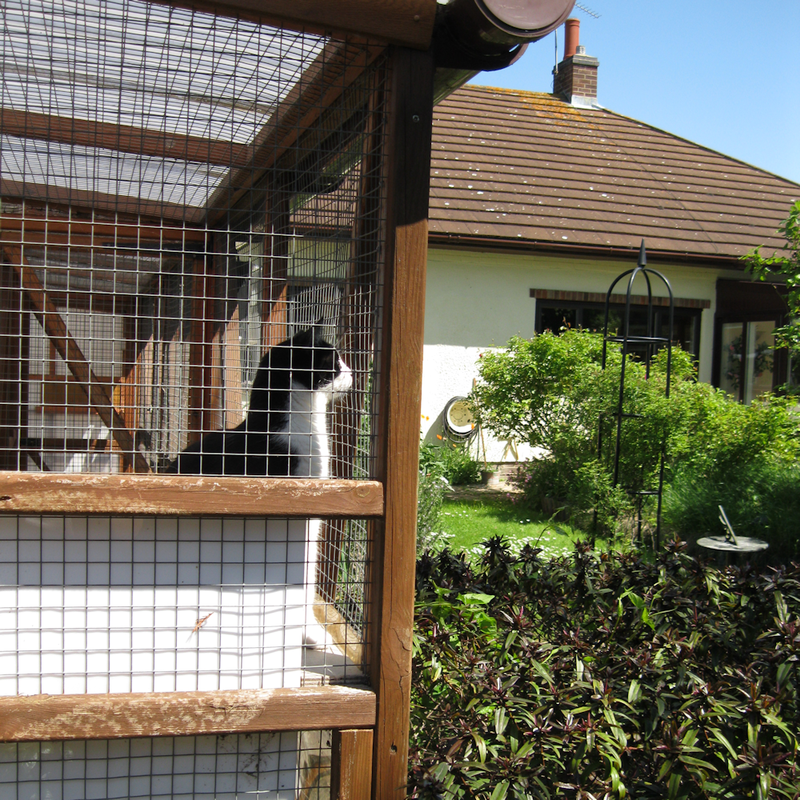 If your cat is not infectious, it will be treated and cared for in its own chalet. Elderly and infirm cats are very welcome and will be made comfortable but it is regretted that entire Adult males cannot be accepted. 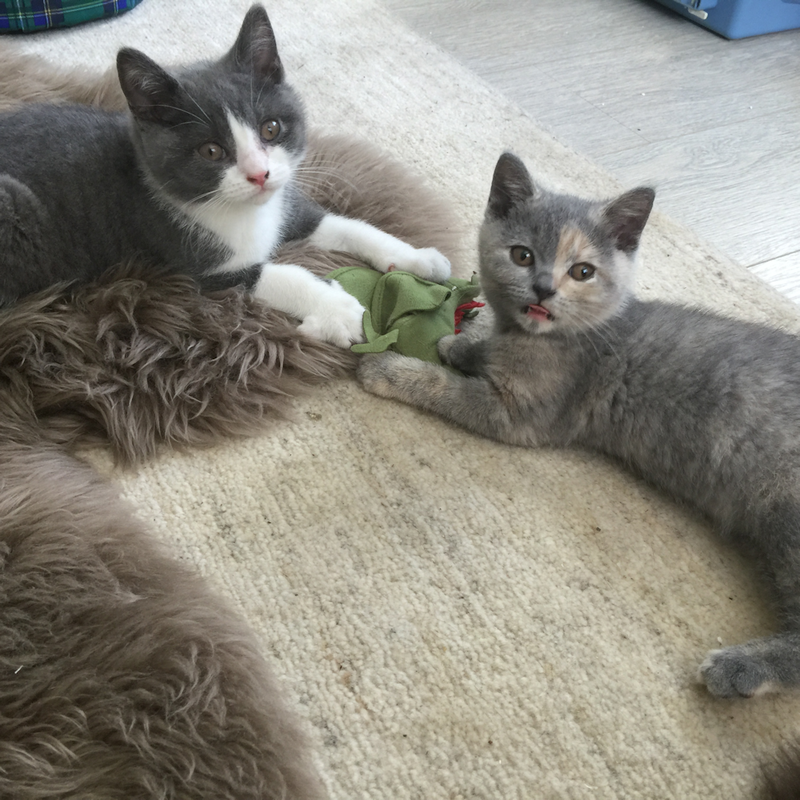 Kittens are also very welcome but must have had their full vaccinations before they can enter the premises. Please ensure that your cat has had a proprietary flea treatment before boarding. Any cat found to have fleas will be treated with Frontline Spot-On obtained from the veterinary surgeon, for which an extra charge will be made. Includes individual diets, heating, grooming, Pet Plan Insurance and 24 hour care. Charges are inclusive from the day of arrival to the day of collection. In the event of owners returning before the end of the period for which the cat is booked, the full period will be charged for. If a confirmed booking is cancelled with less than 14 days notice, a cancellation fee of £25.00 is payable. Boarding fees are due on collection of your cat(s). Please make payment by cheque or cash only as we are unable to accept credit or debit cards at the moment. Bank transfer is possible by special arrangement. 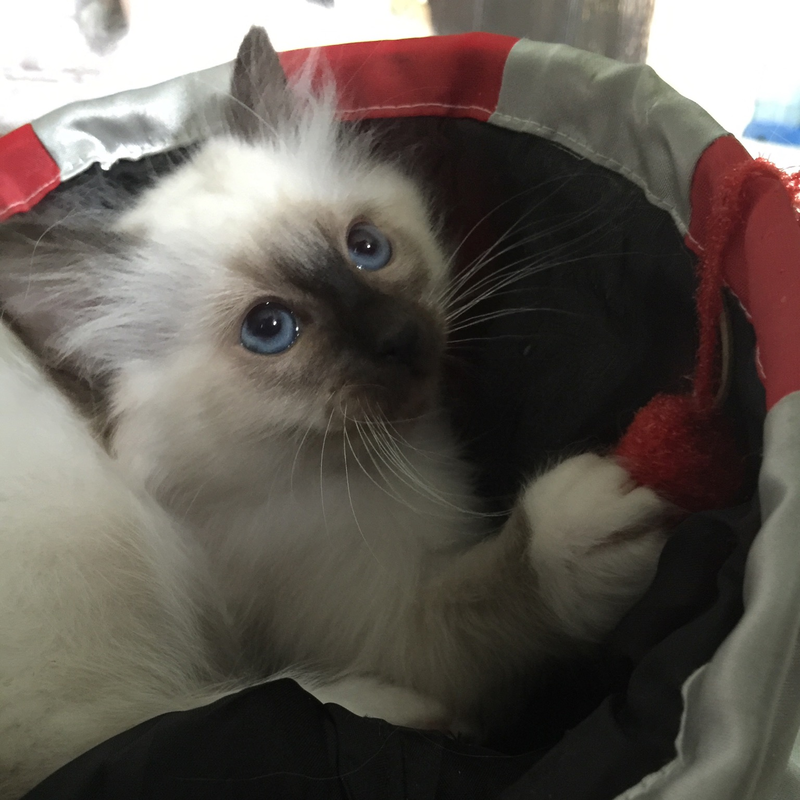 Please bring your cat in a secure carrying basket which can be stored at the cattery. Although we provide hygienic sleeping baskets and bedding for your cat, it is a good idea to bring your cat’s own sleeping blanket and toys, as a little contact from home will help them settle in. Please be assured that your cat will receive all the love, care and individual attention whilst in the cattery, allowing you to relax and enjoy a care-free holiday.